Find details and register by clicking HERE. 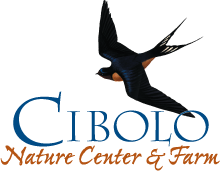 Wildlife Field Research is a week long bioblitz conducted every spring and fall at the Cibolo Nature Center & Farm. During this research event, teams of Citizen Scientists combine their experience, knowledge and enthusiasm to survey the nature center’s ecology. Citizen Science engages citizens in the task of recording observations of the environment and its many inhabitants. These observations are used to make scientific assessments that inform land management and human behaviors that impact our world. New participants are trained by Team Leaders who provide instruction and guidance on how to conduct the surveys and record information. 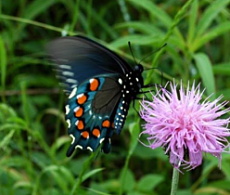 Master Naturalists, college students, teenagers, parents and young kids and other nature enthusiasts participate in this event, each bringing their own interests to the mix to create a colorful and fun citizen science community. For some, the camaraderie and fun that is had during Wildlife Field Research brings them back year after year. Learn more about our SURVEYS, and visit our MAP OF SURVEYS to see Wildlife Field Research in action! Lunch is provided on Thursday and Friday to all participants. We recommend that you wear outdoor clothes and closed toed shoes. Bring a hat, sunscreen and a water bottle. Long pants are recommended for surveys taking place in the tall grass prairie. A raincoat will come in handy if it's in the forecast. If you need to stay overnight, we have limited camping spots available. Please indicate your interest when you register.